There is much to be said for a well-organized, clutter-free home. Not only is it tidy and easy to find everything, but that spaciousness brings a sense of calm and joy to your home. With hectic lives, it's easy for that clean, pristine home to fall by the wayside. That's why it's best to enlist the help of the experts at California Closets of Connecticut. 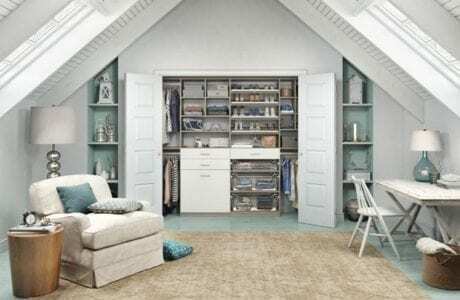 We'll work with you one-on-one to deliver the best closet system to your home. Our closet systems go beyond your clothes and hangers. They extend to your kitchen, guest room or garage. Here are some ideas on how to make each room in your home more functional and organized. -Hanging Rods - for coats and outerwear and closed drawers to tuck away items you want concealed, an entryway system changes the experience of entering — and exiting — your home. -Pantry System - provides efficient and functional design in the kitchen, allowing you to see and easily reach every item stocked away. -Home Office System - encourages productivity by providing a clutter-free space that inspires creativity. -A Murphy Bed System - makes your extra room or home office multifunctional, providing an extra sleeping space when you need it. 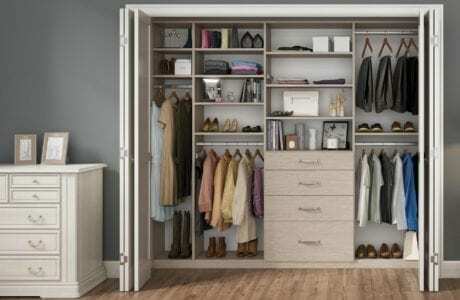 Get started on your own custom closet system today by scheduling your complimentary in-home design consultation.